Lit by a single spotlight, the lone piper stands high up on the ramparts playing the ‘lights out’ lament and I swear I have tears in my eyes. A weekend in Edinburgh can do that to you. Robert Louis Stevenson once said that ‘Edinburgh is what Paris ought to be’ and when you look down from the castle onto its medieval lanes and elegant sweeping terraces, and then further afield towards the 18th century ‘new town’ with its gorgeous Georgian Squares and avenues you realise that he wasn’t far wrong. 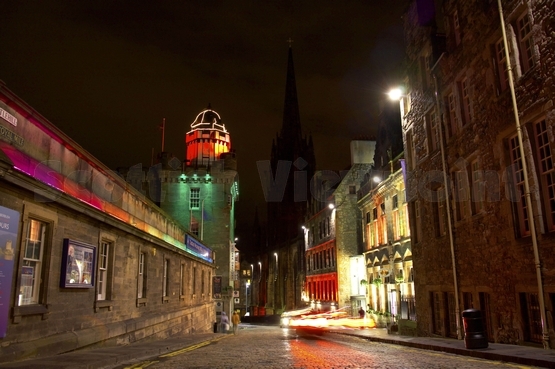 The old town oozes history from every brick and each time I go there I feel I’m in a very special place. But remember, this is a capital with a difference. 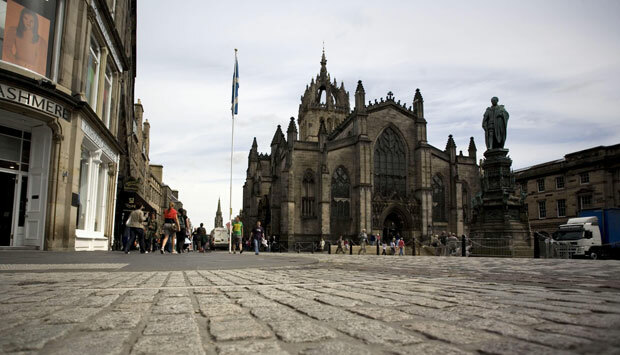 It’s also a capital where twelve international festivals take place each year and attract leading performers from all over the world, it’s where galleries display cutting edge art, and where restaurants, bars and clubs create a lively cosmopolitan culture with a distinctly Scottish twist. It also happens to have the highest density of Michelin starred restaurants outside of London. So, how can you take all of this and distil it into a two day visit? 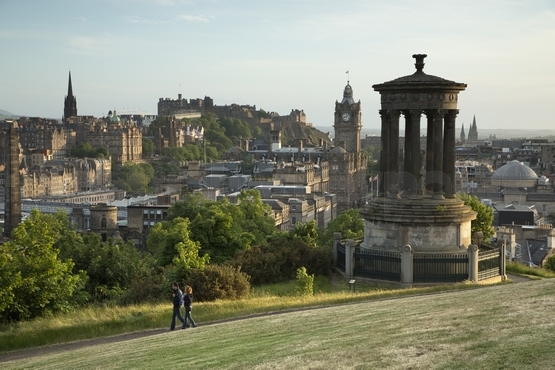 Unlike many other capitals around the world, Edinburgh is compact enough to be able to get around easily so here’s how you can get the best of the city in a couple of days. 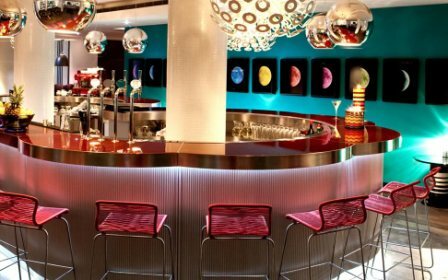 Check in to Hotel Missoni, the only 5 star hotel right on The Royal Mile and quite probably one of the most unusual hotels you’ll ever experience. A collaboration between Rezidor Hotels and Missoni, the Italian fashion and interiors house famous for its colourful zigzag patterns, it’s a vibrant and contemporary twist on luxury hospitality that’s clear from the moment you walk through the door and notice the two huge mosaic urns. The ostensibly black and white interior is punctuated with bursts of brilliant colour, with large Missoni prints on the walls and the furniture is without doubt uber trendy designer chic, a total contrast to the ancient architecture outside. Your room will be equally contemporary, with a large silver leather headboard and zigzag linen covering the very comfy bed, and the luxury bathroom will be brimming with Missoni toiletries, a heated mirror, a rainforest shower and very plush dressing gowns. 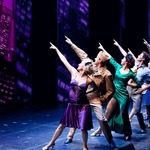 You’ll also enjoy the free mini bar, and other free services such as wi-fi access, two items laundered and local calls. The Missoni is refreshingly different certainly, but the service is impeccable, the cuisine delightfully Italian and the luxury status reassuringly visible. A wonderful addition to Edinburgh’s already broad canvas. 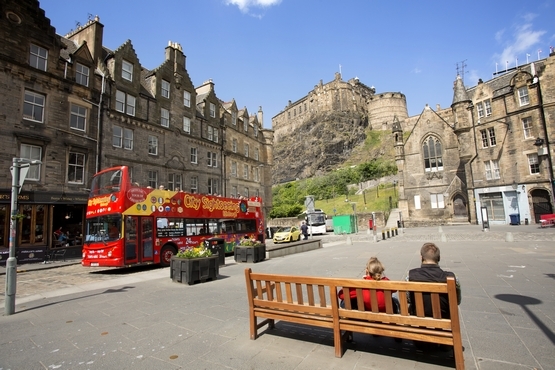 Just around the corner from the hotel you will find a stop for the hop on hop off bus tour, an absolute must for any visitor to Edinburgh. Your ticket will let you stop off at any of the 24 stops along the one hour route which loops around the city visiting all the major sights. The buses are very frequent, every 20 minutes, and include an on board guide who’ll impart a colourful local story or two along with the interesting history lesson. There are also bus tours that go outside the city centre, to visit The Royal Botanic Gardens for example, or to the Royal Yacht Britannia, that took the Royal Family over a million miles during its forty years service. Just near here, almost next to the castle, is The Scotch Whiskey Experience. For lovers of the dram it’s an entertaining insight into how scotch was created, and at the end you even get a free taster. If you’re not into whiskey, try out the Camera Obscura Show instead. From a mysterious Victorian rooftop chamber you see live moving images of Edinburgh projected onto a viewing table via mirrors and lenses. Pick people up on your hands and get the traffic to climb over paper bridges. Lots of fun. 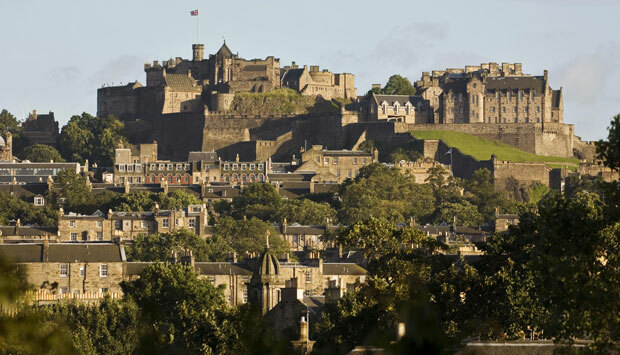 You might want to have a look around the Castle at this point and see the Scottish Crown Jewels, St Margaret’s Chapel and The Stone of Destiny on which previous monarchs were crowned. On the other hand, if it’s getting close to lunchtime, then head down to Market Street to the Fruitmarket Gallery Café. It’s a lovely art gallery with an excellent café that serves homemade soups and salads and some of the best cakes in the city. Now head to the Palace of Holyrood house at the opposite end of the Royal Mile, (the buses stop here too) the official Scottish residence of The Queen. This was the home of Mary Queen of Scots and a critical episode in her reign took place here with the killing of her loyal aide David Rizzio. Other notable residents were James II, Bonnie Prince Charlie and Queen Victoria. If the weather is good, you can take a walk from here up to Arthur’s Seat in the adjacent Holyrood Park for some of the best views of the city. Time for some tea now, and Eteaket at 41A Frederick Street is a tea boutique and café that serves just about every beverage known to man and a delicious cream tea too. If you have time for some shopping before dinner, head over to Multrees Walk in the New Town where you’ll find Harvey Nichols, Mulberry, Armani and Louis Vuitton. There are certainly no shortage of restaurants in Edinburgh, but as you are staying in the Old Town, Ondine is one of the new gourmet eateries. Owned and run by award winning chef Roy Brett, the menu showcases Scotland’s finest fare using fresh local seasonal produce. 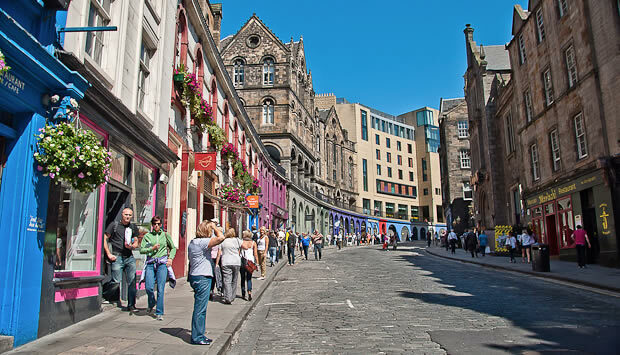 After a hearty breakfast at Missoni, you can take a walk back in time to the hidden underground vaults around Mary Kings Close and recapture 17th century life in plague ridden Edinburgh This is a warren of ancient streets where real people lived from the days when the old town was a rat infested slum. It’s very popular so book this in advance. If you’ve managed to avoid the plague, take a ride to the Royal Botanic Gardens – known by the locals as ‘Botanics’. 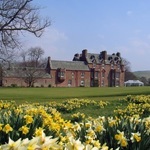 Scotland’s premier green kingdom has been in business since 1670 and is set in over 70 acres of landscaped grounds. This is also a lovely location for lunch where the Terrace Café will provide some al fresco dining but look out for the squirrels and birds! Just the afternoon left, so what to do. How about The Royal College of Surgeons Museum? Inside you’ll find William Playfair’s pathology Museum, the oldest in Britain, with its human anatomical specimens from the 18th century and an exhibition chronicling surgery from Roman times to the present and the discovery of antisepsis and anaesthesia. 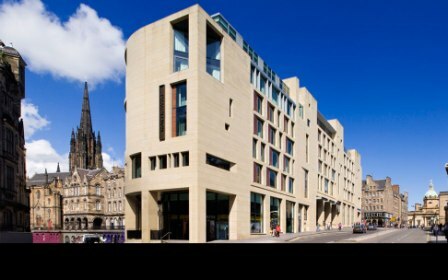 Or for the more faint of heart, there’s the National Galleries of Scotland spread across three buildings in the New Town. Here you’ll find masterpieces from the early Renaissance to the present day by some of the most important artists in history. No trip to Edinburgh would be complete without a visit to Jenners, Scotland’s most famous department store, and in particular, the new food hall which contains a feast of food and wines from all over the world. Finish your Edinburgh break with dinner at Restaurant Martin Wishart. Now in its eleventh year, this Michelin starred restaurant is on the ‘Shore’ overlooking the Water of Leith, just a ten minute cab ride from the city centre. Offering a mix of traditional and modern French cuisine, the restaurant gave the city its first Michelin star and has continued to remain at the very top of Edinburgh dining ever since. This short visit will no doubt give you the momentum to return. 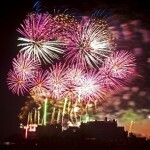 Edinburgh may be time worn, but it will always have something new to offer.